The Senate on Thursday added broad overseas contracting reform to its version of the Defense authorization bill, handing Sen. Claire McCaskill, D-Mo., a victory in her six-year effort to crack down on procurement waste in war zones. The Comprehensive Contingency Contracting Reform Act was introduced in February after a report issued by the bipartisan Commission on Wartime Contracting told Congress that federal contractors in Iraq and Afghanistan had wasted an estimated $60 billion. If accepted in a House-Senate conference, the bill would seek to reduce waste in overseas military operations and occupations by elevating oversight responsibility, improving management structures, expanding planning requirements and reforming contracting practices. 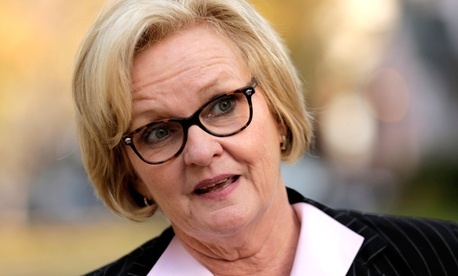 It would prohibit excessive pass-through contracts and charges to the government and add new oversight responsibilities for inspectors general for contingency operations, according to McCaskill’s staff. And it would remake the contracting process to provide greater transparency, competition, professional education and accountability.